Getting a dog for the first time or getting a new dog is always very exciting, but it’s important to be well-puppared (sic) beforehand. Beyond the basics such as food and water bowls, a leash and collar, there are other items you’ll also need. 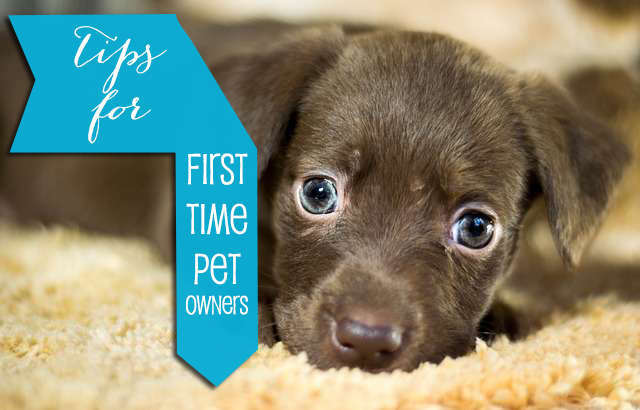 Here is a list of some of the best items to get before bringing your new dog home. Dogs need their own place where they can chill out, relax and feel safe and secure, which a dog bed or dog crate can provide. A dog bed gives your pet somewhere comfortable to sleep at night or rest during the day, while a crate provides a more secure setting for a puppy who hasn’t yet been house trained and can’t be let out on his own. If you’re going to be out for a few hours you may want your dog to stay safely in a crate. For tips on how to crate train your dog read our page on Crate Training. Some dogs benefit from walking wearing a harness, which gives the walker more control over dogs that like to pull on the lead. This ensures that a more pleasant walk is had by all until your dog can walk on a lead without pulling. For help training your dog to heel, check out our Simple and Fun How To Teach Your Dog To Heel page. Vigorous dogs can destroy certain toys, posing a hazard to themselves. Some dogs can rip open toys that have a squeaker or other small item inside, which can pose a choking hazard. Choose tough chew toys for your dog instead, for your own peace of mind during playtime or when your dog is alone. These are much more durable and provide your dog with hours of enjoyment without falling apart. They also give dogs a great way to ease the anxiety of frustration by chewing. When out and about in your car with your pet have a seat belt restraint in your vehicle. These are designed to keep dogs from sliding around inside vehicles, which helps keep them and you safer. A seat belt restraint helps give dogs a sense of stability and can also keep you and your dog safe if you’re in an accident. Car seat covers help protect your car’s interior from mud and dirt while also cutting down on the amount of dog hair inside your vehicle from travelling with your pet. You can place these covers over your car seats anytime you plan on bringing your dog for a ride. They provide your dog with a more comfortable place to lie down and also reduce the risk of stains and marks on your car seats. Your dog will need to be groomed regularly with brushing and bathing. You may decide you’d like to clip your dog yourself, so buy a set of clippers. Pick up grooming supplies, such as brushes, nail clippers and dog shampoo, so you’ll have these items to hand when you need them. Choose a brush that’s suitable for your dog’s coat, depending on the length and texture, and consider getting a scented dog shampoo for a pleasant scent, especially if your dog loves rolling in fox poo, like mine does. You’ll want to have training treats on hand at all times, even just as a treat when your dog is well-behaved.Training with your dog helps build a trusted bond between you and your pet and they definitely benefit from the structure. With all the above in mind, remember that the most important things for your dog to have is plenty of affection and quality time with you.